I’ve teamed up with Edinburgh-based company, Picture to Puppet, to offer you the chance to keep your child’s imaginative creations alive forever. Mari Jones, founder of Picture to Puppet, creates bespoke hand puppets from recycled materials. Ebony isn’t yet at any age where she can create exciting characters, although she will happily spend hours scribbling over my to do lists, birthday cards and bills. Even those random scribblings, or random paint splatters she creates, are near impossible to throw away. I have a small pile I want to frame, but if I start now, when will it end? I’m really looking forward to the time when Ebony has the fine motor skills, artistic talent and inspired imagination to create characters from scratch. If, like me, you struggle to discard of your child’s art, but also only have limited wall space on which to display said art (and quite probably don’t want your entire house to look like a nursery), then Picture to Puppet is the perfect solution. 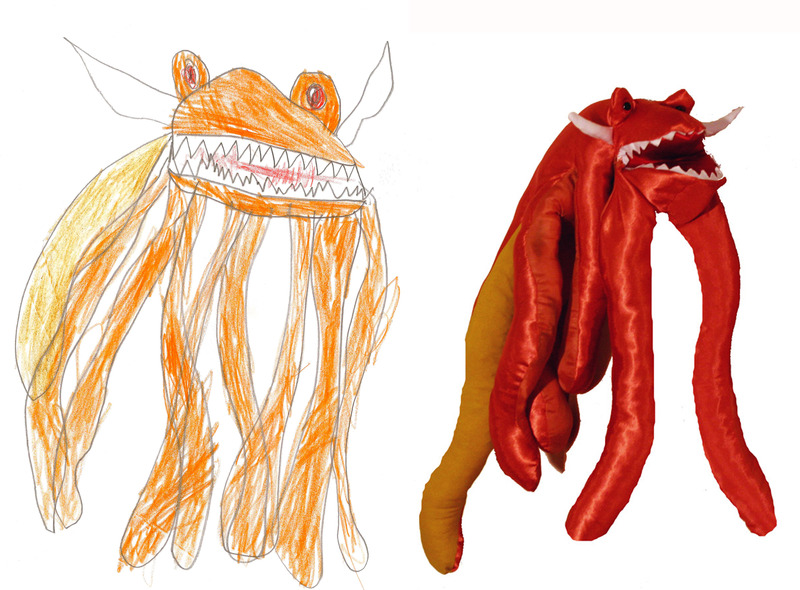 Mari creates beautiful hand-crafted puppets from children’s drawings. The scribbled astronaut from last weekend, can be skilfully turned into a unique puppet from 100% recycled materials in just a week. Mari has produced works for parents, schools, theatre companies, storytellers and drama groups from across the world. Prices vary from £30-60 depending on the complexity of the idea. To find out more about the company, see more examples of puppets, and to contact Mari, click here. Mari has kindly offered her services as a prize. 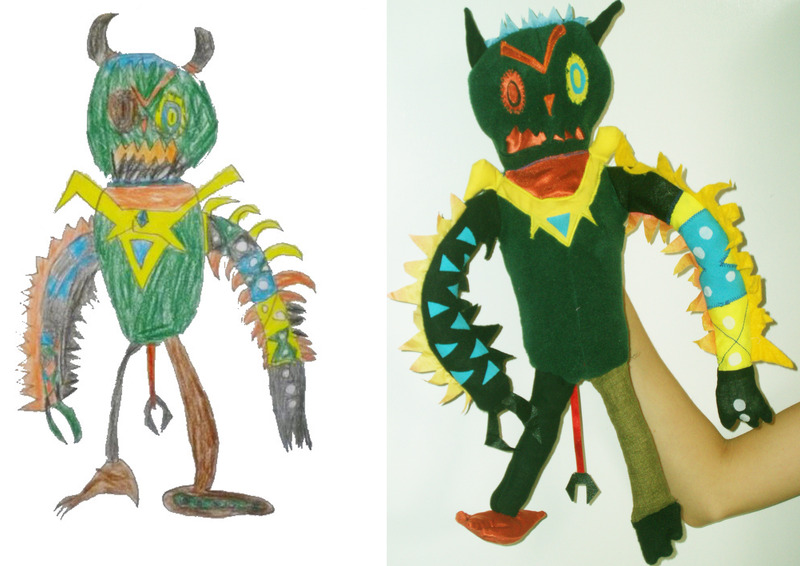 One lucky reader will submit a drawing to Mari, and she will design, create and send to you a puppet inspired by it. This is such a great prize, and I can't wait to see the winning entry! To enter, all you need to do is fill in the Rafflecopter below. Good luck!